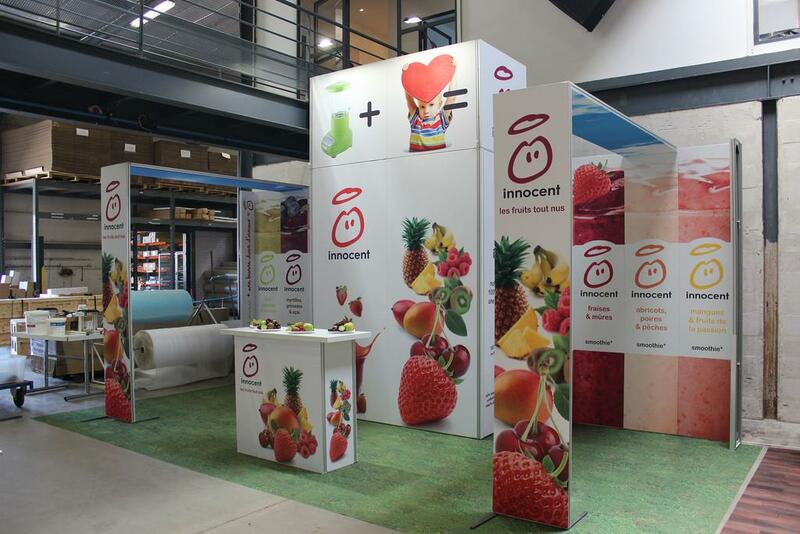 We gave them a customized & functional trade show solution with the added benefit of an economical way/place to store it. When this innovative medical device company needed an economical solution for their international trade shows, they turned to us. 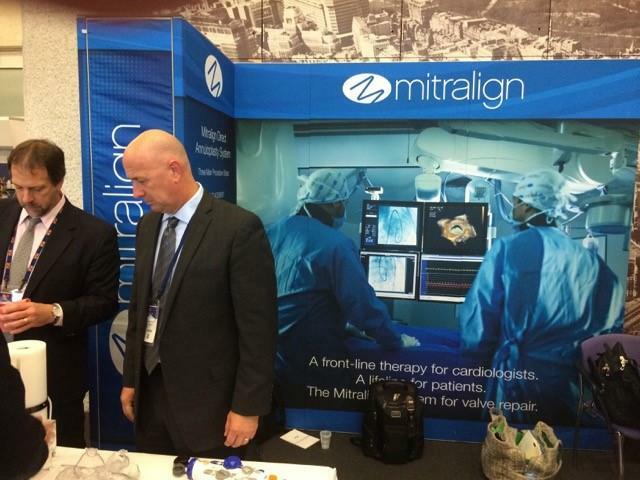 Mitralign is a venture-backed, medical innovation company in Boston that’s on the cutting-edge of devices designed to treat a variety of life-threatening cardiac conditions, among other products. Because their products are not yet approved by FDA, they currently only exhibit in trade shows throughout Europe. 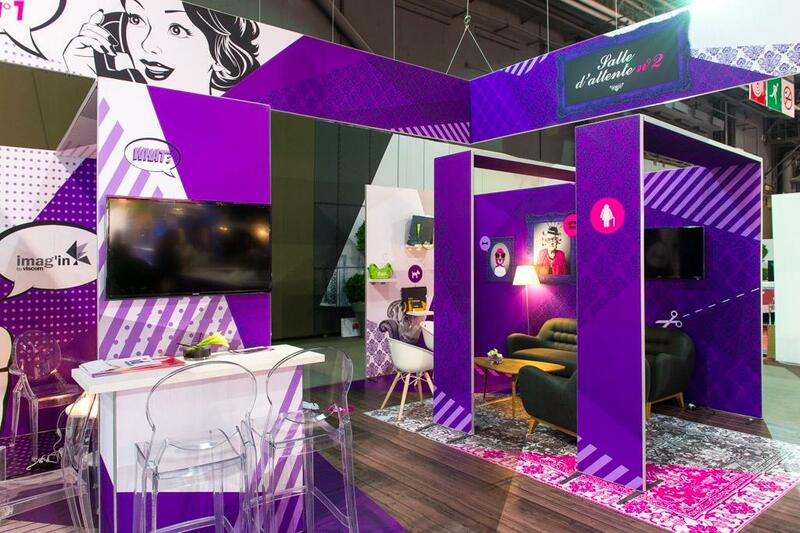 So they not only needed a customized trade show booth that would illustrate the revolutionary persona of their corporation, but also one that could be easily and economically transported to and from show locations outside of the United States. Of course, SOBO had the ideal, and most economical solution! This booth, like many we design, is semi-portable and can be easily assembled and disassembled by the client. It’s packed and shipped in its own crate and is made with fabric that’s pulled tight onto the frame and includes a handy storage closet. To save them time and money, we store Mitralign’s trade show booth in our production facility in France and ship it directly to Germany, the UK and Switzerland. 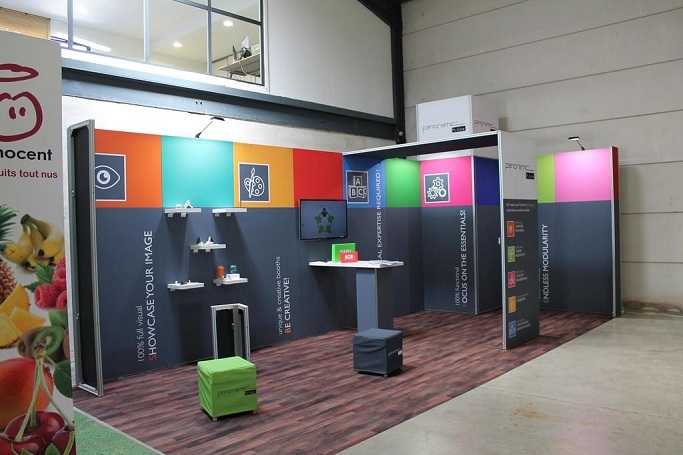 This enables them to get it to and from their numerous events more economically and because of the way it’s made, they have also been able to easily change their graphics from time to time without having to replace the entire booth. 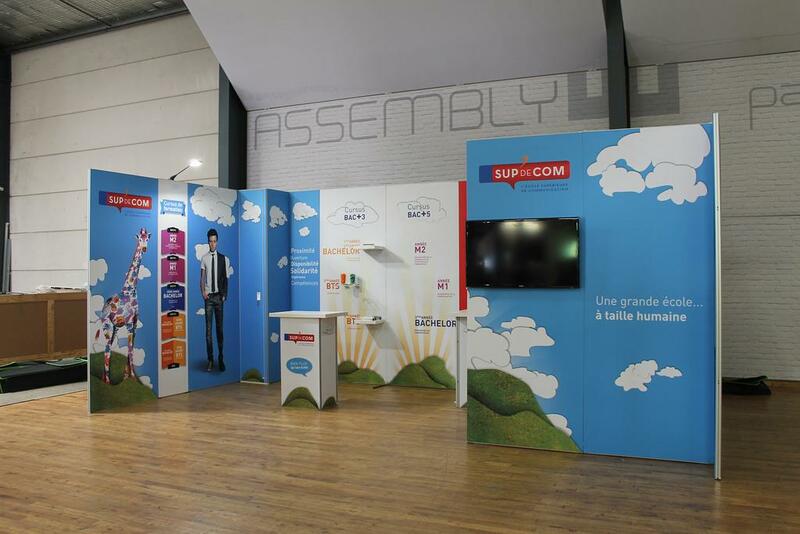 Using H-line, we’re able to create a totally customized trade show booth that’s both reusable and reconfigurable. Each module can be attached to one another, so if your space changes from show to show, you’re still good to go. 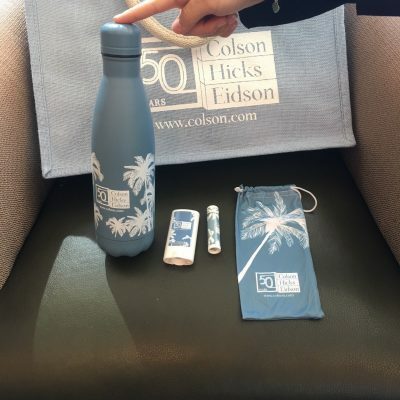 And unlike the tradeshow booths of the past, your branding is featured from corner to corner, top to bottom without any visible aluminum frames, so there’s nothing standing in between attendees and your brand! 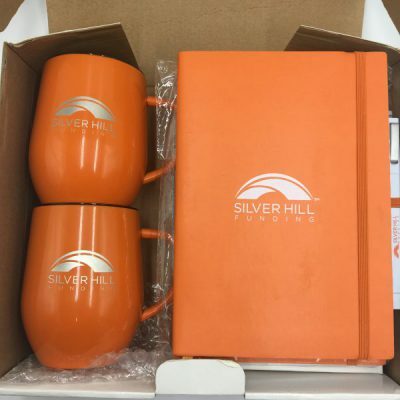 Set up is easy, quick and doesn’t require tools, so your tradeshow team can get it up and ready without hours of pre-show stress. 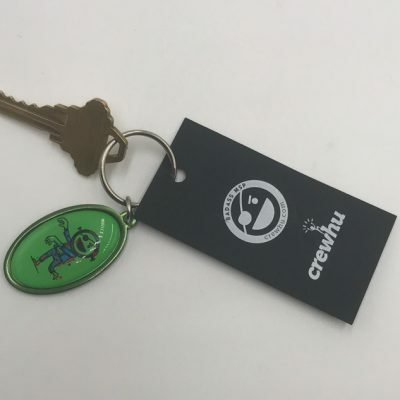 And of course, we can customize it to your specifications, add on optional kits to enhance its functionality and provide a variety of fabric and color options. We can also redesign or change out graphics for just one panel or a few without having to start from scratch. When you’re ready for a new, bold and eye-catching tradeshow booth that will be as functional as it is beautiful, give us a call at 888-752-0432.